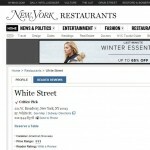 White Street was featured on SpoiledNYC.com on a list of “7 Gorgeous Bars That’ll Take Your Breath Away in NYC.” The article not only highlights White Street’s decorum, but it also names a few of White Street’s favorite dishes. SpoiledNYC writes, “If you come to White Street for dinner, you will not leave disappointed.” … we will take their word for it! Everyone loves a good celebrity sighting ( it’s like a seeing a dog walk on it’s hind-legs!) So where are some of the best spots in NYC to run into your favorite celebs? 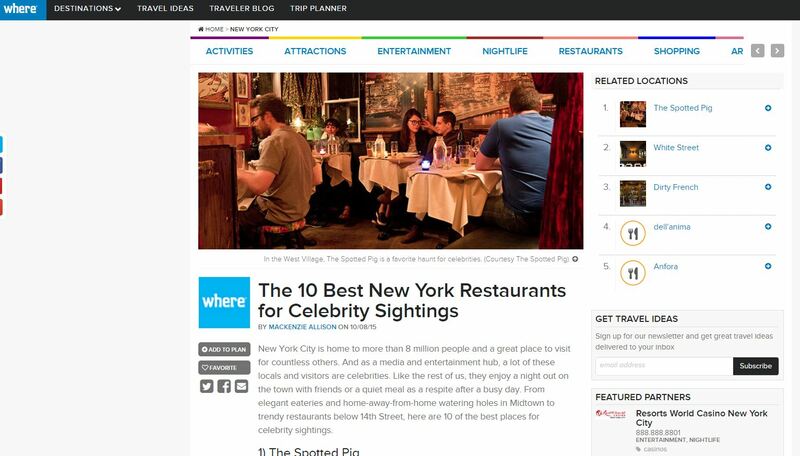 Well, wheretraveler.com complied a list of the 10 best restaurants to get a glimpse of an A-lister on our little island of Manhattan, and coming in at #2 is none other than White Street. The article writes, “Word has it, over the past year, Eddie Redmayne, Christian Slater, Chelsea Clinton, Gabourey Sidibe, the ladies of The View, and even Madonna have stopped by the elegant eatery” … not to shabby! I’d say if it’s good enough for Madonna it’s good enough for us! Cheers! 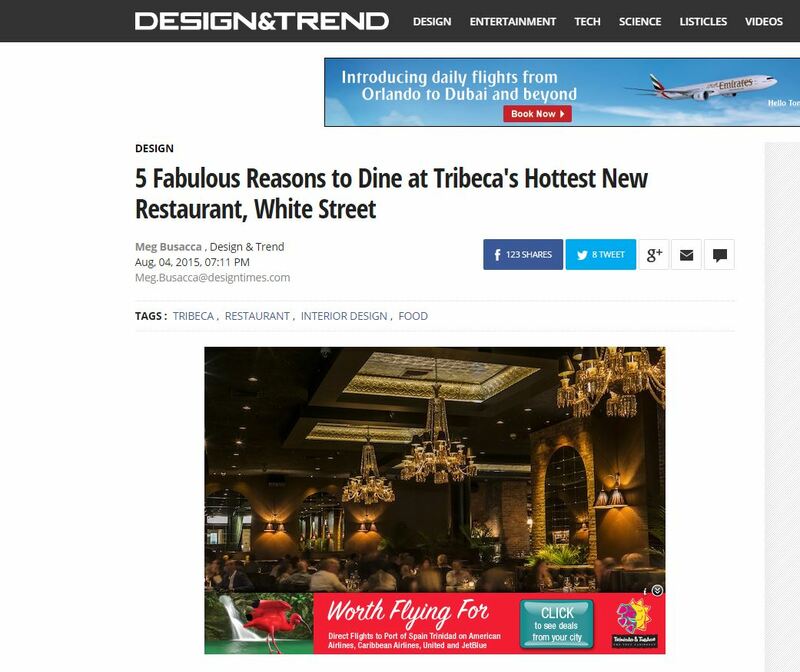 White Street was featured in an article on Design & Trend entitled “5 Fabulous Reasons to Dine at Tribeca’s Hottest New Restaurant, White Street”. The article highlights the restaurant’s ambiance, look, menu, private rooms and location – which honestly, what else do you need in a restaurant?! 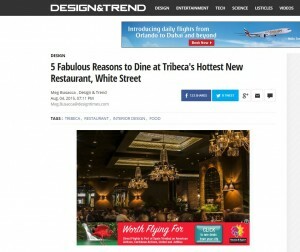 The author Meg Busacca writes, “White Street brings a refreshing energy to fine dining in downtown Manhattan. The new modern American restaurant is reimagining traditional perceptions of first-class settings and quality cuisine, without the stuffiness or occasional ostentatiousness that comes along with upscale dining.” We won’t argue with her, White Street truly is one of a kind… just ask around. Read the full article here. White Street was mentioned in New York Magazine by Adam Platt in his annual “Where to Eat” feature. The guide to the most “interesting, exciting and unexpected eats” to enjoy this coming year instructs readers to head to White Street for chef Floyd Cardoz’s cooking. 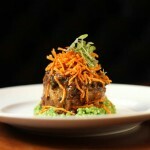 The section of the article entitled “Makeovers and Second Acts” highlights the ambiance of the restaurant and the unique dishes, claiming that Cardoz’s braised short rib dish is “arguably the finest braised short rib being served now in all of New York City”. Read the full guide here. The New Yorker featured a piece on White Street in their section entitled “Tables for Two”. The article begins by commenting on the decor of the restaurant from the moment the door opens, ” It’s hard to think of a classier opening: ornate crystal chandeliers, velvet emerald drapes, black tufted-leather banquettes, and low lighting for a moody “Godfather” glow”. It then develops into a descriptive piece that makes you feel like you’re right there at 221 West Broadway about to sit down and try one of chef Floyd Cardoz’s delectable dishes. The author highlights some of the most popular entrees such as the seared lamb cannon and the braised short ribs. 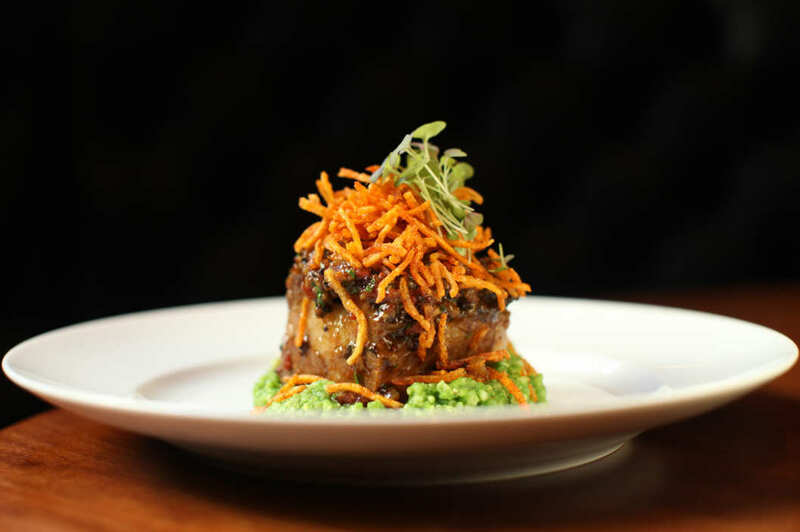 “The seared lamb cannon with cumin and mint was juicy and pink, the edges crispy, and the short ribs, over horseradish grits and topped with fried shoestring potatoes, were both comforting and refined. When you read “spiced fries, duck fat, homemade mayonnaise,” you know what to do.”. Read the full article here. RestaurantGirl.com published a captivating review of White Street and chef Floyd Cardoz on October 12, 2014. The article begins by recapping chef Cardoz’s restaurant history and then delves into an intricate description of White Street and the influence of Cardoz’s unique and delectable cooking style . The article artfully captures the essence of Cardoz’s cooking genre stating, “More important than the healthful slant, Cardoz has created a tremendously flavorful cuisine all his own; one that marries his Indian heritage with American as well as a slurry of other global flavors thrown in the mix to keep things interesting.” It goes on to further praise Cardoz and White Street as a whole not neglecting decor, desserts or drinks. Warning: it just might make you hungry but read the full review here. White Street was featured in an Architectural Digest article published on Thursday, October 27th. The article, highlighting the simple elegance of the restaurant, provides a detailed description of the decor and layout that all combine to create an ambiance unmatched by any other eatery in New York City. The grandeur of the restaurant is brought to life by the fusion of classical and sensible elements that create an atmosphere of sophistication yet comfort. The article states, “The restaurateurs wanted to create a space where their neighbors could easily drop in without a reservation and enjoy a glass of wine or a full dinner.” Their vision has indeed come to fruition in the most elegant way. Read the full piece here. 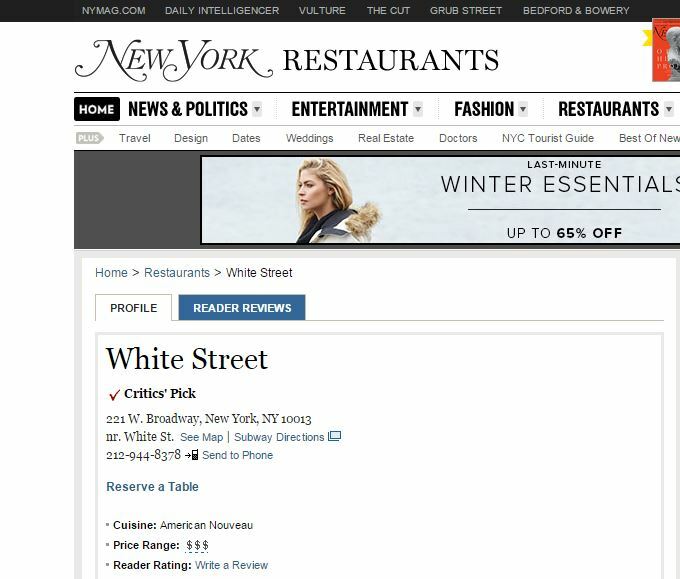 White Street was featured as the hottest restaurant in New York City, this past week, by Grub Street. How was this determined? “Each week, Grub Street surveys the entire restaurant landscape of New York City, crunches the numbers, and comes up with this: the most-talked-about, must-visit places in the city. They might be new, or they could be older places that have gotten a recent jolt of buzz. No matter what, these are the restaurants where you should make a point to eat sooner rather than later.” Not too shabby for only being open for one month so far. Read the full article here. The New York Post recently published a piece on Dan and Dave opening their new restaurant, White Street. The article features an interview with both men discussing their visions for the restaurant, as well as a look at how it has been thriving since the opening last month. Some recent notable restaurant patrons included David Lauren, Robin Roberts, Alan Rickman and of course, President Barack Obama, among others. Although a business venture, the article reveals that opening this restaurant was also a passion project for both owners. Coincidentally, in the 1920’s style of the eatery, Dan and Dave share they initially decided to embark upon the this project in the old fashion way; says Dan, “It’s a bit reckless, but at the beginning we did it all on a handshake”. Read the full article here.